InterSystems IRIS gives you everything you need to capture, share, understand, and act upon your organization’s most valuable asset – your data. As a complete platform, InterSystems IRIS eliminates the need to integrate multiple development technologies. Applications require less code, fewer system resources, and less maintenance. Hi all. Today we are going to upload a ML model into IRIS Manager and test it. Note: I have done the following on Ubuntu 18.04, Apache Zeppelin 0.8.0, Python 3.6.5. The following code allows a user to view the audit settings of their instance. Run the code by running the class method "test"
Connect to IRIS with Python? I have seen the Cache Python binding documentation and would like to know if it's also possible with IRIS so I can write data and also read/get it from the DB? The cachesys folder does not contain any python libraries. Hi all. Today we are going to use k-means algorithm on the Iris Dataset. I have imported my data with the following code (%DocDB). I have general question regarding the InterSystems Platform. Which features does the platform have, that the other similar platforms doesn't have? Often InterSystems technology architect team is asked about recommended storage arrays or storage technologies. To provide this information to a wider audience as reference, a new series is started to provide some of the results we have encountered with various storage technologies. As a general recommendation, all-flash storage is highly recommended with all InterSystems products to provide the lowest latency and predictable IOPS capabilities. The first in the series was the most recently tested Netapp AFF A300 storage array. This is middle-tier type storage array with several higher models above it. This specific A300 model is capable of supporting a minimal configuration of only a few drives to hundreds of drives per HA pair, and also capable of being clustered with multiple controller pairs for tens of PB's of disk capacity and hundreds of thousands of IOPS or higher. Hi all. Yesterday I tried to connect Apache Spark, Apache Zeppelin, and InterSystems IRIS. During the process, I experienced troubles connecting it all together and I did not find a useful guide. So, I decided to write my own. What is Apache Spark and Apache Zeppelin and find out how it works together. Apache Spark is an open-source cluster-computing framework. It provides an interface for programming entire clusters with implicit data parallelism and fault tolerance. So, it is very useful when you need to work with Big Data. And Apache Zeppelin is a notebook, that provides cool UI to work with analytics and machine learning. Together, it works like this: IRIS provides data, Spark reads provided data, and in a notebook we work with the data. So thanks to the documentation and community posts I have figured how to create a stream and read data from a JSON but since I'm also new to JSON I have some parsing problems. 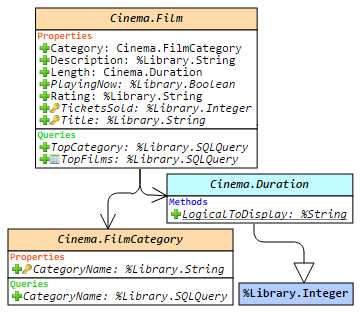 I don't know how to access subarrays/sub-objects via objectscript. Come join us on Developer Week in NYC on 18-20 of June! InterSystems has signed on for a high-level sponsorship and exhibitor space at this year's DeveloperWeek, billed as "New York City’s Largest Developer Conference & Expo". This is the first time we have participated in the event that organizers expect will draw more than 3,000 developers from 18th to 20th June. Filling document templates - what's your approach? Let's say I have a user-generated document template with placeholders and I want to replace them with actual values. There should be two placeholders in RTF template: %title and %table and the are replaced with "Hello" and results of Test query from Utils.RTF class, serialized into a table. When you hear people talk about moving their applications to the cloud, are you unsure of what exactly they mean? Do you want a solution for migrating your local, physical servers to a flexible, efficient cloud infrastructure? Join Luca Ravazzolo for Introducing InterSystems Cloud Manager, (May 17th, 2:00 p.m. EDT). 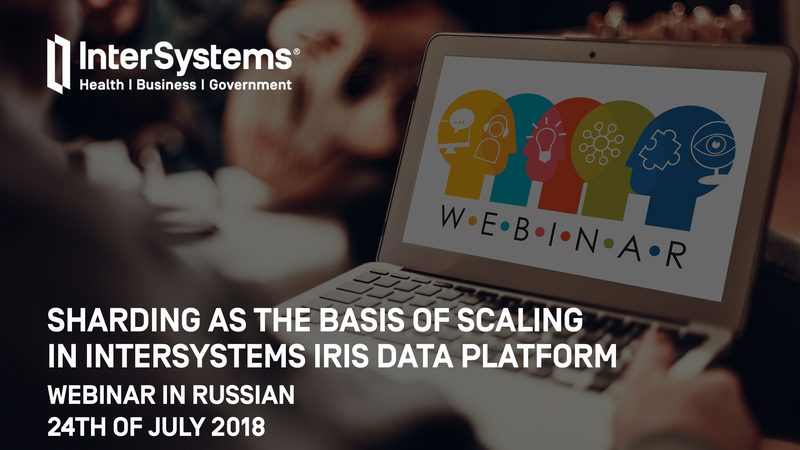 In this webinar, Luca — Product Manager for InterSystems Cloud Manager — will explain cloud technology and how you can move your InterSystems IRIS infrastructure to the cloud in an operationally agile fashion. 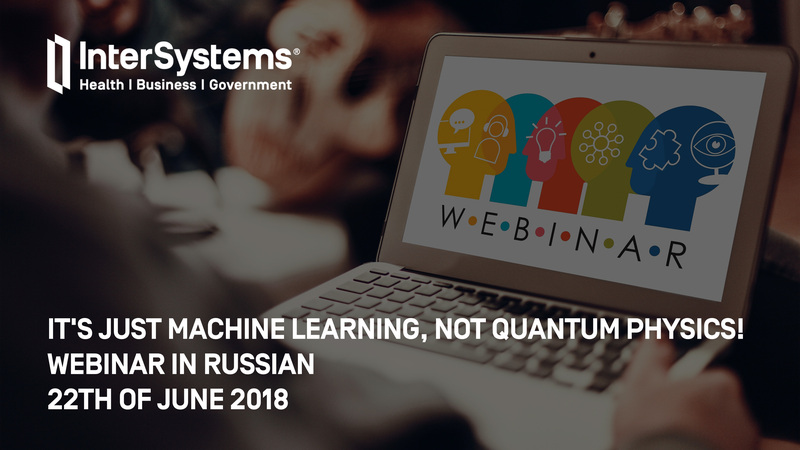 He will also be able to answer your questions following the webinar about this great new product from InterSystems! Managed File Transfer (MFT) feature of InterSystems IRIS enables easy inclusion of a third-party file transfer service directly into an InterSystems IRIS production. Currently, DropBox, Box, and Kiteworks cloud disks are available. In this article, I'd like to describe how to add more cloud storage platforms. Anyone who is planning to attend CEBIT 2018 in Hannover should make sure to join us on June 13 from 2pm to 5pm for a technical deep-dive into our new InterSystems IRIS Data Platform™ technology. InterSystems is pleased to announce that InterSystems IRIS Data Platform 2018.1.0 is now released. This press release was issued this morning.